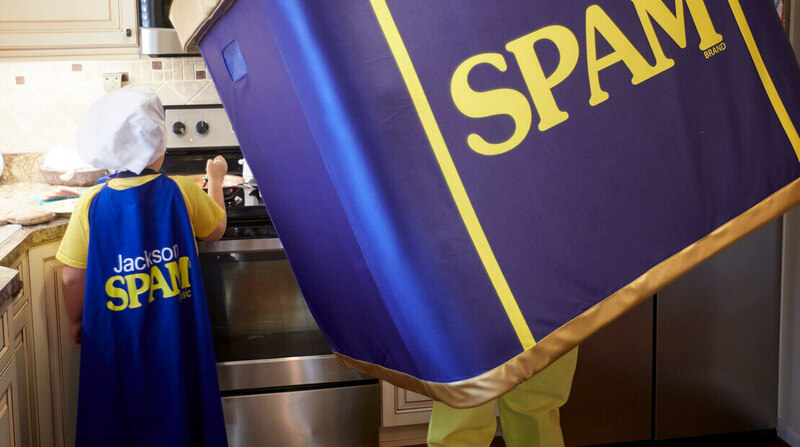 Jackson Sizemore’s story and love of Spam spurred Hormel to launch an initiative honoring superfans of its products. That’s the opening to a letter that Spam received from nine-year-old Jackson’s mom, Tiffany Sizemore, in July that galvanized parent Hormel Food to honor superfans of the company’s brands. After she received the letter, Hormel corporate communications manager Theresa Myers jumped on the phone to talk to Sizemore for an hour to hear more about her family’s situation. Myers learned that Jackson’s brother, Wesley, is a cancer patient. Hormel CEO Jim Snee was so touched by Jackson’s story that he sent him a letter back, along with a care package full of Spam gear. Spam brand manager Brian Lillis took the company’s response one step further. He had plans to make a pit stop in Louisville, Tennessee, as part of a family vacation. Coincidentally, that is where Jackson and his family lives. He decided to make a slight detour, along with 20 of his own family members, and throw Jackson a Spam-themed party. One of Lillis’ cousins even dressed as the Spam mascot for the party. The marketing team added a personal touch to the experience, fashioning a cape for Jackson because, in Sizemore’s words, Spam makes him feel like a superhero. Lillis brought a photographer and videographer to the party to capture everything.